Due to their size and design, the Bluedio Ci3 bluetooth in-ear earphones will probably not fit your ears. If you’re considering to buy them, make sure that you are either able to return them if they don’t fit, or that you’re able to test them out beforehand. The Bluedio Ci3 earphones are quite big. They rely on the t-light tips to stay in your ears. 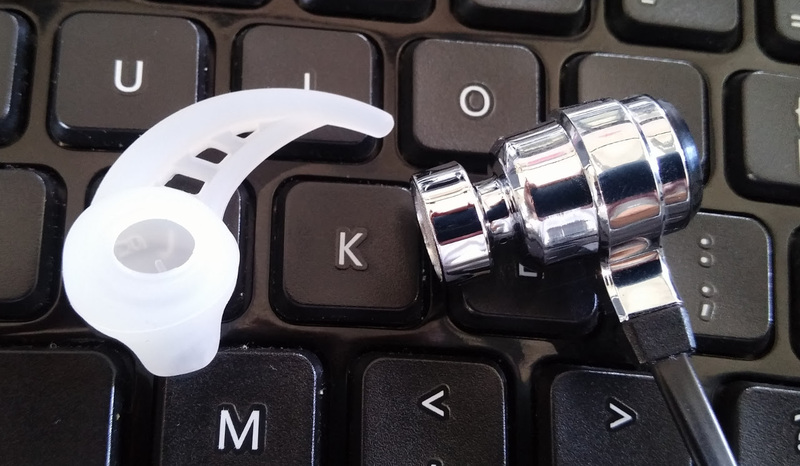 The idea behind this design is that the so-called _t-light tip_ (the wing-like bit of the silicone cover) anchors the whole mechanism in your ear, so that the spout-shaped bit in the silicone cover guides the sound into your ear-canal. Looking at the Amazon customer reviews of the Bluedio Ci3, it seems I am not the only one with this problem. Let me know in the comments what your experience was. < Let’s replace Twitter with something much better.